All text and photos on this site unless otherwise noted are copyrighted by Steve Munzel, 2017.
web site contact the webmaster by sending email to mcm at milpitashistory.org. In 2013 the Milpitas Community Museum was incorporated as a non-profit corporation. Here is more information about the Museum. We know of one Muwekma Ohlone Indian village in the over fourteen square miles covered by the city today. It is buried several feet under soil hauled in on which to build the Calvary Assembly of God Church complex near the corner of Calaveras Road and Old Piedmont Road. A description of the life of the early Indians may be found in Madge Craig's The History of Milpitas. For thousands of years, these natives built several large cemeteries which Europeans later called "shell mounds." A number of these cemeteries are located under the businesses lining Main Street and early builders occasionally unearthed the remains and artifacts left by these First Americans according to Tom Evatt, Milpitas' first mayor. These hills of dirt were the result of ceremonies marking the anniversary of the death of a loved one. At the appointed time, relatives of the deceased were host to a "crying ceremony" which was attended by people from near and far. Sometimes the bereaved numbered in the thousands. For three to five days there was feasting and ritual mourning for the departed at the cemetery. The leavings from the mourners' meals of bay shellfish stayed at the cemetery (there were no garbage collectors to haul it away). Layers of dirt, animal bones, shells next to the Indian burials resulted in the large mounds. In 1993, a portion of such a mound cemetery was excavated at the Elmwood Correctional Facility. The Ohlone Families Corp. was contracted to disinter the human remains. It marked one of the first times in California history where local Native Americans were hired to remove the bones of their own ancestors. Over 150 remains of individuals were carefully removed and boxed for reinternment. Found with the remains were artifacts which indicate that as early as the fifteenth century local tribes were trading with others from Monterey Bay (abalone and other shell necklaces) to the Sacramento area (scrimshaw bird bone ear ornaments). Jasper from the Morgan Hill area 25 miles to the south was also found. The first Europeans arrived in Milpitas overland with the De Anza expedition. A soldier with the expedition, José Higuera, was awarded a land grant by the last Spanish governor of Alta California, Pablo Vincinté de Sola, in 1821. Named Rancho Tularcitos, it covered 4,394.35 acres of what is today central and northern Milpitas. Soon after being given the land, Higuera built a one story adobe. The ruins of the adobe are within the walls of another structure built in the 1960s by Mrs. Marion Weller. This may be seen and visited at Higuera Adobe Park on North Park Victoria Drive. The border of Milpitas and Fremont was the location of Rancho Agua Calienté. Its 9,563.87 acres were granted to Fulgencio Higuera in 1839, in part with land taken from the San José Mission following the secularization of Church property by the Mexican government. To the west of Penitencia Creek (which originally ran just behind the buildings on the west side of Main Street) was Rancho Rincon de los Esteros. The 6,352.9 acres of brackish marshes and prime bottom land was granted to another of De Anza's soldiers, Juan Ignacio Alviso. He was the man for whom the Alviso district of San José was named. Alviso district has over 20 structures listed on the National Register of Historic Places, however it is not known to us where Alviso's hacienda was located, perhaps he made his home in Pueblo San José*, which was nearby. In the 1882, History of Santa Clara County, Michael Hughes is credited as the first non-Hispanic European to settle in Milpitas in 1852. He probably built his redwood frame house near what is now the intersection of Main and Carlo Streets. In March of 1853, Hughes filed a pre-emption claim (AKA "Squater's Rights"). The 1893 Sanborn Fire Insurance map shows a frame house just west of the present intersection on land homesteaded by Ellen Hughes in 1868 and still owned by the Hughes family on the County Assessor's Map of 1890. 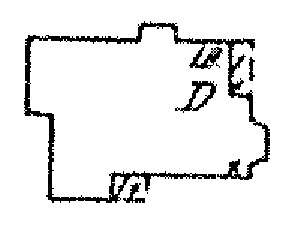 The image at left is from the Sanborn Fire Insurance map of 1893 and shows a frame domicile at the Hughes homestead site (Main St. is to the right of the drawing). The settlers who followed Hughes included Joseph Weller (for whom Weller School is named), Dudley Wells, Joseph Murphy (possibly for whom Murphy School site is named), Joseph Scott (for whom Scott Creek is named), and Englishman, Frederick Creighton (for whom Creighton Park is named). The main crop they grew was wheat and a little barley. The latter was probably sold to local breweries. Although the History of Santa Clara County credits Creighton as building the first store in Milpitas at the corner of what is now Main and Serra Streets in 1857, Augustus Rathbone, purchased the land "and improvements" at the southwest corner of that intersection in February 1856 from Richard Greenham for $1,200 -- a sum that indicates structures were probably present. 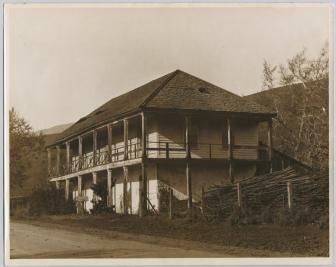 Rathbone established a store and saloon at the site that is mentioned in the diary of Alfred Doten in 1858, At that time, Main Street was known as Mission Road because it connected the Mission of San José with the Pueblo of San José. Where Creighton and Rathbone operated their stores Mission Road was intersected from the west by the Alviso-Milpitas Road. It was in Rathbone's Saloon on February 21, 1865, that Bernad a Zunaga was stabbed to death by Juan Rentaria, this was the first recorded murder in Milpitas. Unfortunately, the murderer escaped. .Across the Alviso road, to the north, Alex Anderson first built a saloon and hotel in 1857 on land he rented from Michael Hughes. This saloon/hotel was bought and sold three times in 1859, but finally acquired by Alfred French, who hailed from Ohio. Over the next 30 years the establishment came to be called "French's Hotel". 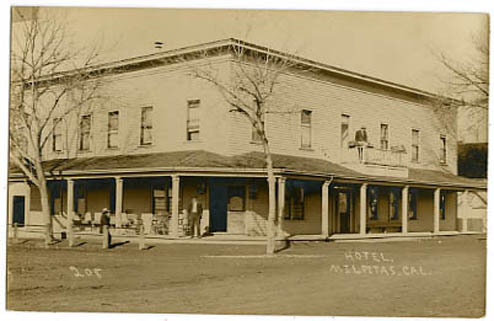 French's Hotel (see image at right) burned, was rebuilt, and in the 1890s, was renamed the Milpitas Hotel. This building burned in the town's great fire of 1910. By the mid 1920s one of the Fat Boy Barbeque Restaurants was erected on the site. The Fat Boy Restaurants were one of the first "fast food" chains in America. During this time Milpitas was a thriving highway service center on the road which now connected Oakland with San José. That highway is known today as Main Street. When the Western Pacific Railroad came to Milpitas in 1867, the town got an economic boost. A depot was built southeast of St. John's Catholic Church next to the railroad tracks on the site of a present day strip mall. Tons of locally grown produce were loaded onto freight cars there. Some was processed into cans at the California & Pacific Cannery, located on the east side of Main Street northeast of the church. Milpitas became famous for peas, spinach, asparagus, beans, and later, strawberries. In the early twentieth century, hay to feed the thousands of horses in San Francisco, became the primary cash crop grown in Milpitas. Hay continued to be grown well into the 1980s when the remaining farmland east of Penitencia Creek was developed. The last farmland in the valley portion of Milpitas was the McCarthy Ranch. For many years, the McCarthy family operated a fruit and vegetable stand at the present site of McCarthy Blvd. overpass. 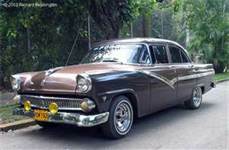 When the Ford Motor Assembly Plant came to the southern edge of town, San José indicated interest in making it part of that city. The local inhabitants fought back. The City of Milpitas was the result of a defensive incorporation on January 26, 1954. Later, in 1960, San José attempted to incorporate our young city but was met with a very lopsided defeat in the election. The Minute Man was added to the city's seal and flag following this campaign. Ironically, Ford Corporation called the facility the San Jose Ford Motor Assembly Plant. The automobile manufacturing era in Milpitas lasted little more than a quarter century. After the plant closed it remained largely unused for nearly fifteen years. Today, it is the Great Mall of the Bay Area. In 1980 the Milpitas Historical Society was formed. Through the efforts of its members the Milpitas City Council passed an ordinance to protect and preserve the city's cultural resources. The enforcement of that ordinance is assigned to the Parks, Recreation, and Cultural Resources Commission. As the twenty-first century begins, few cities in America are as well balanced as the Milpitas community. There is a large and thriving retail business in the city as well as many computer technology manufacturing industries. Intersection of Main St. and Serra St. This website was created and is maintained by Steve Munzel. Last updated October 2017.